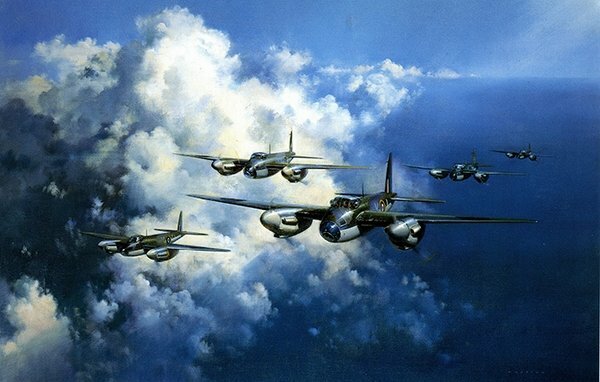 They called the Mosquito "The Wooden Wonder" - and it was really one of the first "stealth" airplanes. There is a wonderful BBC video called "The Wooden Wonder" which shows how the Mosquito was built in different parts of Britain and then assembled at the De Havilland factory. This beautiful print by Frank is getting very low inventory.